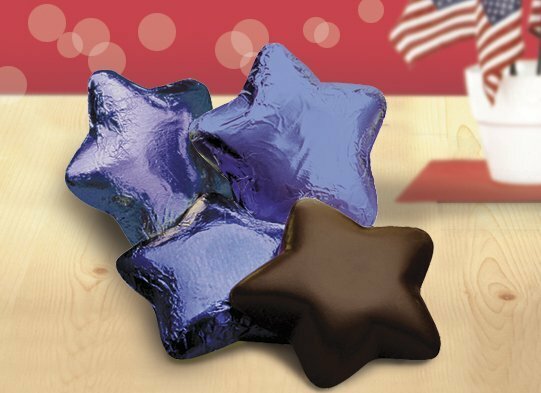 Recognize a job well done with a sweet piece of chocolate for your team of ALL STARS! 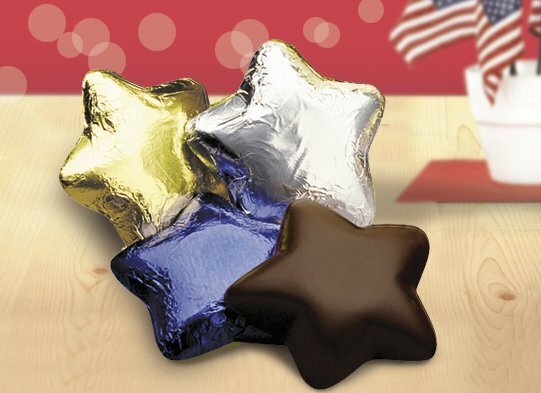 Whether co-workers, family members or event attendees, all will enjoy a candy favor. 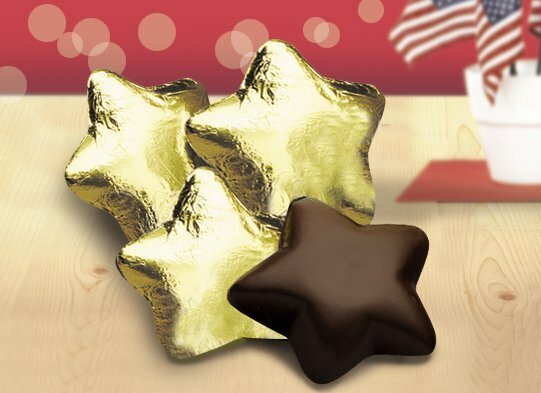 These delectable 2" star treats are made with fine dark Belgian chocolate. 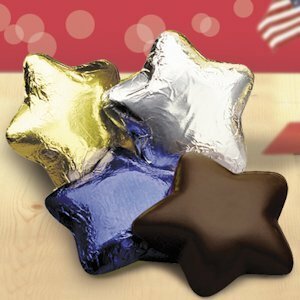 Choose from 3 different foil colors - blue, gold or silver. 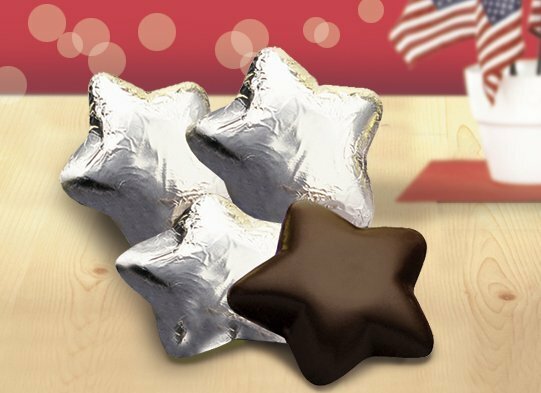 Great as party or wedding favors!